There are different strategies for mobile testing, but when it comes to simulators/ emulators and real devices, it’s not really an either/or approach. Each solution has its benefits and drawbacks, depending on the stage of an app’s lifecycle. Simulators/ emulators are great for early stages, but testing on real devices before releases is crucial to ensure an app’s success. “A recommended approach is to find a healthy mix of emulators, simulators and real devices to get the best out of your test automation.” (Gartner, Market Guide for Mobile App Test Automation Tools, Maritess Sobejana). We will highlight advantages and disadvantages of iOS and Android emulators as well as real devices and we will also give an affordable solution to test on both!! 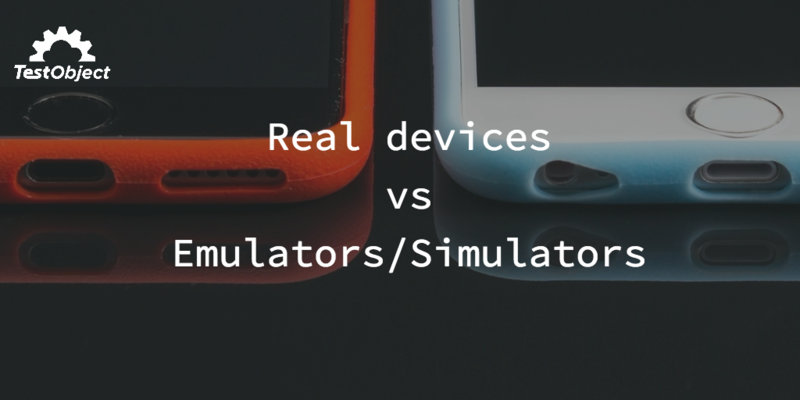 Mobile Device Emulator vs Simulator: What is the difference? 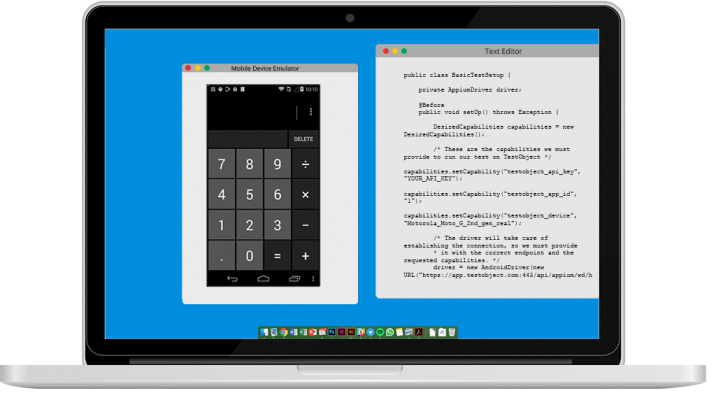 An emulator has the goal of taking the place of the real (in our case) mobile device. It duplicates every aspect of the original device’s behaviour, both hardware and software. It basically simulates all of the hardware the real device uses, allowing the exact same app to run on it unmodified, and all of the software. While a simulator sets up a similar safe environment to the original real-life device’s OS, but it doesn’t attempt to simulate the real device’s hardware. So what you will see is the OS and the interface of the device you want to use, but you won’t experience all the problems the hardware might cause. Some apps may run a little differently and that’s the main reason why simulators aren’t very reliable. Both of the options mentioned before are widely used solutions when it comes to mobile app testing. The feeling you get is that emulators are better, because they both simulate software and hardware, but that’s not all you want to test when testing an app on a mobile device. As we know, everything comes with upsides and downsides. Both solutions are an optimal solution for early testing when it comes to mobile testing. There is no need to set up an expensive solution with real devices in the early development stages of an app. Android and iOS simulators and emulators are perfectly suited for this purpose, with easy setup of different OS versions as well as a cheaper solution for a high device coverage. Well for starters, real devices give you a real feeling of the app, how it performs on real hardware and all the factors that may contribute to make an app work or crash. We have now analysed all viable mobile testing options we could find, comparing advantages and disadvantages, liability and the costs. Based on our research we can easily say that mobile cloud testing is the best solution that is currently available. Testing in the cloud means accessing hundreds of iOs and Android simulators and emulators as well as real devices, multiple OS and OSs versions, directly from any browser. There is no need to buy mobile devices or set up emulators/simulators, you can test on hundreds of mobile devices right from your browser! What if something breaks? You don’t have to care, because you’ll be always testing on a functioning device: no maintenance! And the best part is yet to come: different mobile testing teams dislocated in multiple locations can work on the same project, see the progress, the tests that were executed and on which devices.